It is possible to steal it, as the code is PS2 Version with minor differences. These screenshots make me nut hard. Nice work. It really feels a wet weather right there. It be kinda nice if the "The Portland Chainsaw Masquerade" mission can be played all in third person. It's really hard and I can't complete it with the keyboard controls. for those who likes "speshul vehicles", I can confirm the AP Hunter trick works in this mission in Re:LCS. Ah, yes, who doesn't love special vehicles, right? Gay and fake. Also, those VCS vehicles looks terrible, I can't handle the VCS wheels on LCS. Use LCS wheels or die. AP Hunter here we go!!! This is one of the best mod! Developers, you do really amazing work! It would be cool to create a playlist for the hidden radio stations of liberty fm, wllc, Liberty Soul Fm. Is there news about the current status of the next update? In other words, new developments as it is currently seen estimated release date. Just be patient is all I can say. The developer of this mod is only human and he is doing a great job. If I know... But I want to know what are the new advances in Re: Liberty City Stories since its last update. Only thanks to Surya who figured this out when porting the mission over. You mean PSP right? Outside of some Generic vehicle textures getting higher resolutions the main vehicle textures are the crushed 4bit PSP textures. 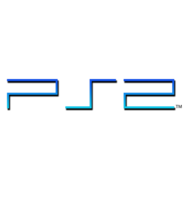 I think PlayStation 2 said PS2 Because in PS2 it has textures in better resolution than in PSP and RE LCS It is made with graphics and textures mostly of PS2. What vehicle textures, outside of generics, are better on PS2? They're the same. They're NOT a representative of what the PS2 can handle since most LCS/VCS vehicle textures are PS2 III/VC vehicle textures, just crushed down to 4bit with colour and detail loss to fit onto the PSP. We all know that the LCS PSP version is not better than PS2, except for the unique PSP version of the vehicles. I personally think that those special vehicles of the Rockstar PSP version put them to fill the gap of the PSP version. Will there be snow weather present? I hope That the snow will be part of the timecycle. It would be interesting to see the city full of snow instead of background particles hit your is just a cool idea and not bragging the modder to necessarily implement in the mod. I hope they fix the cracked on the floor in the PC version.